♥ Would you like more intimacy, love, and deeper connections? ♥ Do you want to clarify and speak your truth with more confidence? ♥ Are you ready to feel less crazed and be filled with joy? SPECIAL BONUS: Purchase a deck and receive more than $1,000 in downloadable gifts from our Feminine Power Partners. I’m thrilled you made it here. As a Master Leadership Coach, Feminine Power Coach and Certified Hypnotherapist, I help women create extraordinary relationships and incredible joy in their hearts on-demand. This has been my work for the last 17 years. I work with women who are overworked, overwhelmed, emotionally fragile and frustrated. Can you relate to any of this? Even in this exhausted state women are resilient. Perhaps you feel the fire burning in your soul. The place that wants to be nurtured, healed and reclaimed… your feminine essence. You know it. It’s the place that feels love deeply, expresses it freely and relishes the joy of being alive. You may be protecting it, but it’s there and when cultivated it can radically change your life for the better. Several years ago, I wanted to get her back (my feminine essence). I wanted to experience more joy, a deeply loving intimate relationship and connection to myself. You see, my life was an ongoing state of low level depression to the point where my fiancé at the time realized he couldn’t make me happy and left our relationship. At the same time, I had no idea how I got myself into such a state. Once the relationship ended, I immersed myself in self-exploration and research and over time turned my life into a magical unfolding of joy, love and heart-connected relationships. In fact, my loving husband just brought me a cup of tea and gave me a little shoulder massage. Oh what a joy it is to bask in the loving connection we’ve created… I digress. What I know now is that if I could go from an unaligned unhappy life to a magical joy-filled juicy life, ANY woman could! The years of research, therapy, personal development programs and self-exploration have paid off. Throughout the years I kept volumes of notes about what I was learning and the pearls of wisdom which were most critical to finding, honoring and expressing the feminine spirit and to creating a magical life. I have spent countless hours perfecting a unique tool that helped me along the way. Throughout the journey, I wrote down the wisdom principles I needed to keep front and center in my mind on 3”x5” index cards. I would refer to these cards in my emotional moments of frustration, overwhelm, sadness and fear. 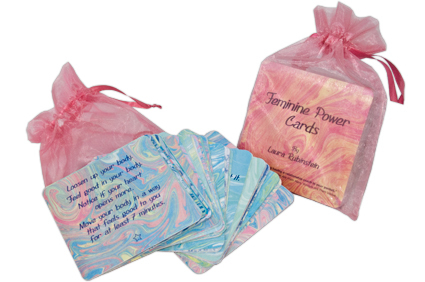 This set of index cards evolved into a beautiful wisdom deck of 54 Feminine Power Cards. They contain the guiding principles that led me to unlimited joy and power in my life. They will give you reminders and guidance to align you with feminine energy and heart-centered living at any moment you feel disconnected. This deck will be there for you in the moments when you need to make seemingly small as well as very important choices to change your life. And it’s in these moments when you make choices that you align your intentions, feelings and actions and produce results. Where do you go when you’re searching to feel more connected, more power-full and more alive? It is time to wake up to a whole new way of being a woman. A passionate and life altering awakening is dawning. It is time to define what is important from your womanly perspective. It is time to open and awaken to your full self. The Feminine Power Cards affirm and remind you of who you already are. You are a power-full, magnificent woman of strength, wisdom, character, creativity, love, abundance, passion, and more. These cards call for you to bring your divine best self out. The cards also offer ways to practice staying in this state. If taken to heart, these cards will cause you to contemplate deeply what is in your heart and soul and help you emerge your answers to our most difficult inner and interpersonal questions. Experience your inner power and heart wisdom and create your dream life. As you take it upon yourself to move toward your full potential, resolving your life’s challenges and inner consternation, you pave the way for other women to heal theirs. No two women’s journeys are the same into their Sacred Feminine. The tools and concepts I offer can help you emerge yourself as a woman of power. Down deep we ache for our essential self that was dismissed in order to attend to our culture’s norms and values. We must grow beyond those old ideals of womanhood and feminism to effectively experience ourselves as whole and joy-full. This journey involves discovering the divine feminine within you, healing old hurts, unearthing courage, and reclaiming your power. We are living in an exciting time for women. Women are awakening more and more to their feminine power. Being a heart-centered woman is about consciously taking this journey with all the challenges that arise from our complacency, society’s resistance and inner fears. Every woman has a feminine source of wisdom upon which she can rely. Coming to know and trust this feminine source is vital in evolving into our personal power. When a woman surrenders to this place within herself, she has changed the world. She moves beyond what paradigms she has been “living up to” and into the realm of being moved by her Spirit. Her life becomes a rhythm of personal integrity, unwavering truth, deep exploration and an unfolding of her magnificence. In this space, anything is possible. As you dive in, you are in the process of remembering all that you already are. Tapping into your feminine wisdom is all that you need. The feminine journey is a juicy, rich, challenging, heart-breaking, soul building, compassion growing experience. The opportunity is to move through the aches to truth, light, love and positive change in your body, soul, family, community and world. It requires moving to a place of radical self-acceptance, love and nurturing. For the first time ever the Feminine Power Cards are now available for you and other women everywhere. I placed the most important feminine principles on them. Every woman is power-full. A woman in love with herself is a magnetic force who is admired and strong from within. She is unstoppable in her ability to create results and relationships she desires. These cards are designed to gently guide women to discovering their untapped solid gold essence. Each deck contains 54 double-sided cards on a beautifully marbled art background printed on recycled paper. Each card contains a feminine power principle (on the pink side) and a simple exercise, contemplation or affirmation (on the blue side). The cards are 4″ x 4″ with rounded corners. The deck comes packaged in a beautiful pink organza bag. Perfect for taking along with you in your purse to your next lunch with your girlfriends. Free e-book, Ways to Play with Feminine Power Cards. This will show you how to get the most from the cards and the special coding embedded in the cards to guide you ($15 value). 5 Feminine Power Principles for Leading A Heart-Centered Life Teleclass. Know You Deserve, grab a cup of tea and join us for this chat where you will experience the Power-Full Woman You Are & learn the principles for receiving the fulfilling relationships you deserve. ($20 value). Coming Soon…. accessories for your Feminine Power Cards including: card holders, candles, journal, and the upcoming supplementary deck Feminine Power in Relationships. “I love these cards. 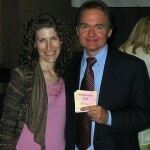 They are like having your own relationship coach in your pocket.” ~John Gray, PhD. Author of Men Are from Mars, Women Are from Venus. “When I’m stuck and need ideas, I use the cards and a whole new possibility opens up.” Diane G.
Since every woman’s journey is her own we acknowledge where you are. You may just be beginning or you may have been here for a while. We welcome you. We invite you to dive into your heart-centered life and enjoy the process. If you have resonated with any of the messages on this page, consider yourself part of our community of heart-centered women. You are no longer alone on your journey. I invite you to be in touch with us. Your cards will come with a link to our inner web where you can ask questions, discuss topic or just read our heart-centered notes. If you’re interested but still not sure whether the Feminine Power Cards are for you, we’re happy to send you our FREE Women In Joy Newsletter. We’d love for you to get to know us better and stay connected to this community. Take the journey into your divine feminine soul & bring forth your heart-centered life. Yes, I want my very own set of Feminine Power Cards for only $20. (Limited Time SPECIAL… price includes shipping). As a Certified Hypnotherapist and Master Leadership Coach, Laura Rubinstein inspires her clients to live their passion and have it all. 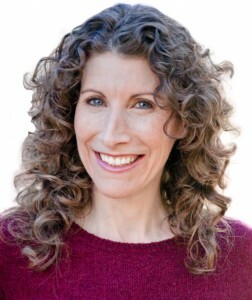 She is the founder of WomenInJoy.com and HeartCenteredWomen.com. Laura facilitates women’s programs and is author of Transform Your Body in the Mental GymTM and the Feminine Power Cards.